The following is a transcription of the Maple Cemetery located in the former community of East Arrow Park, British Columbia., Canada. 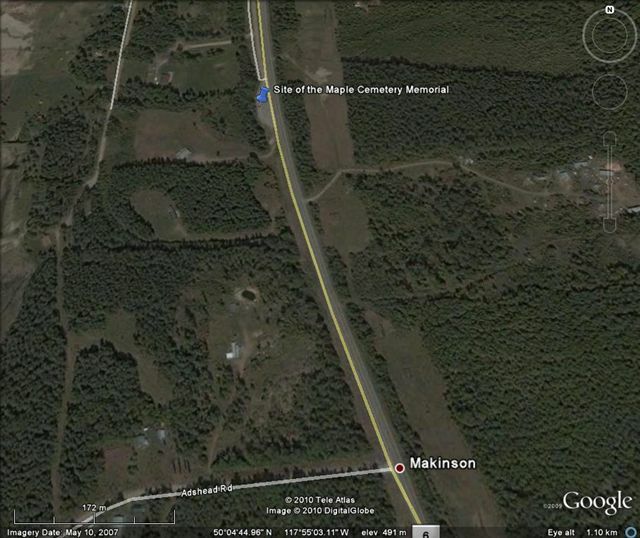 The Maple Women’s Institute instigated the beginning of the Maple Cemetery. The Institute’s Secretary, Peggy Campbell and her baby were the first burials in 1922. In the beginning the Institute cleaned the grounds and in 1937 they took over management of the cemetery. The flooding of the Arrow Lakes to form the Arrow Reservoir in the late 1960s covered this cemetery. 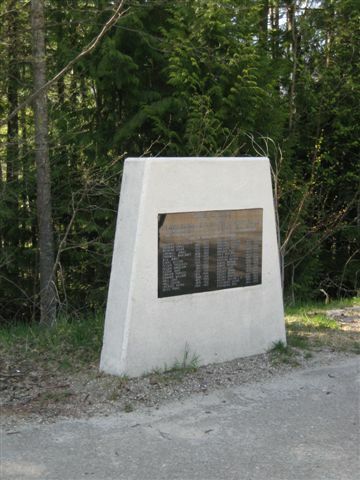 A plaque was placed beside Highway 6 to record those who were buried there. This area is well maintained by the Provincial Government. The plaque only details the name, birth year and death year of the interments, additional information has been researched and added. This ‘cemetery’ now consists as a plaque commemorating the cemetery of East Arrow Park. 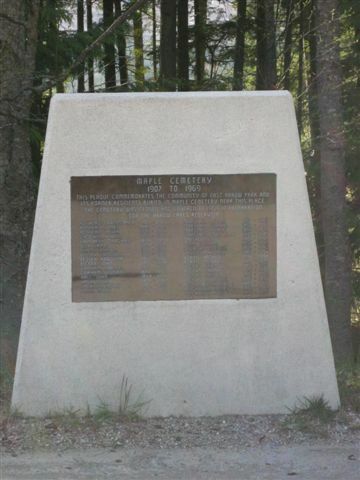 The plaque is located on the west side of the highway about 24 kilometers south of Nakusp. From the south side it is approximately 11 kilometers north of Burton.